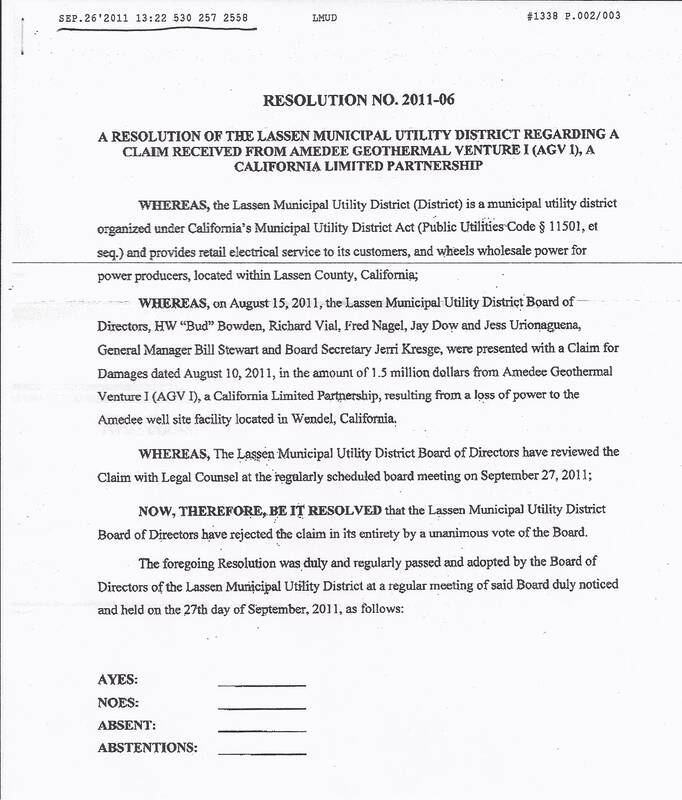 The LMUD Board faxed their attorney a copy of Resolution 2011-06 on Monday, September 26, 2011. One day before their regular meeting scheduled for Tuesday, September 27, 2011. 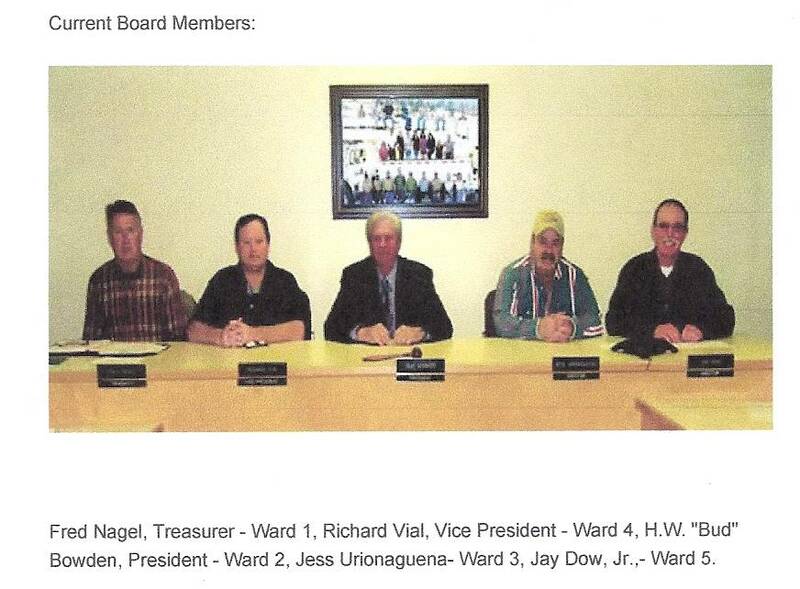 The LMUD Board AND BILL STEWART, then proceeded to act on this Resolution in closed session. The big problem, it wasn't on the LMUD September 27, 2011 Agenda. 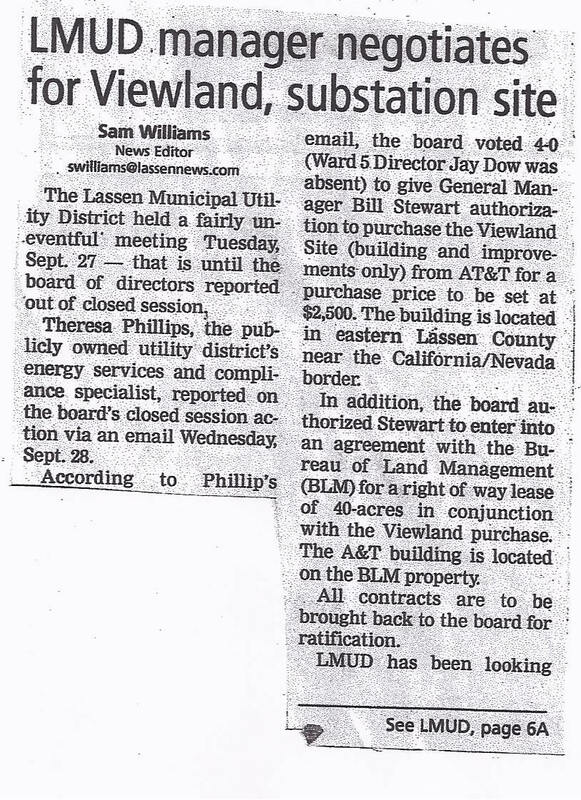 LMUD's Energy Services and Compliance Specialist, Theresa Phillips was ordered to e-mail the Lassen County Times the following day to let them know the action taken by the Board in closed session. You would think that the fact that the LMUD Board had authorized the purchase of more contaminated property (Viewland) would have been the BIG NEWS, and it was. 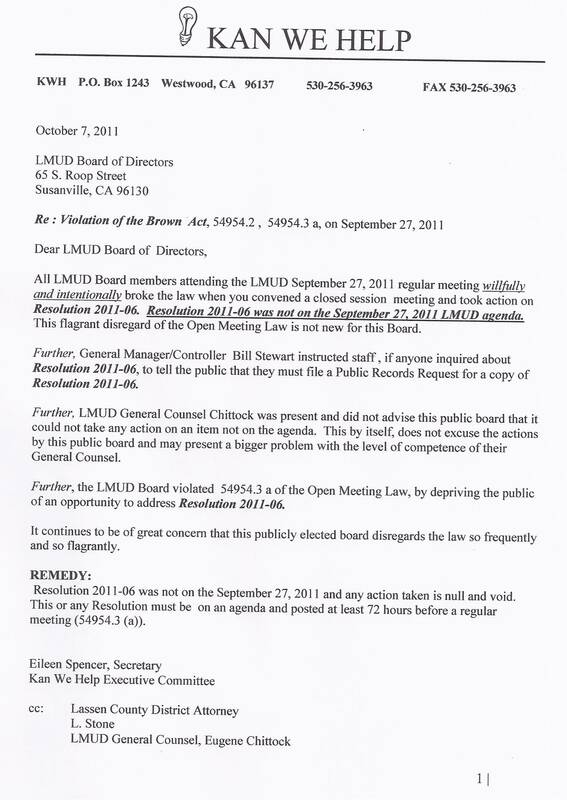 The fact that the LMUD Board had violated the Brown Act (California's Open Meeting Act) was even bigger news. Kan We Help has filed yet another Brown Act Violation against the Lassen Municipal Utility District. This Board has ZERO respect the law and has more than earned the distrust of the public.